Indie Retro News: Total Recall - Hot news as playable scrapped ZX Spectrum version released! 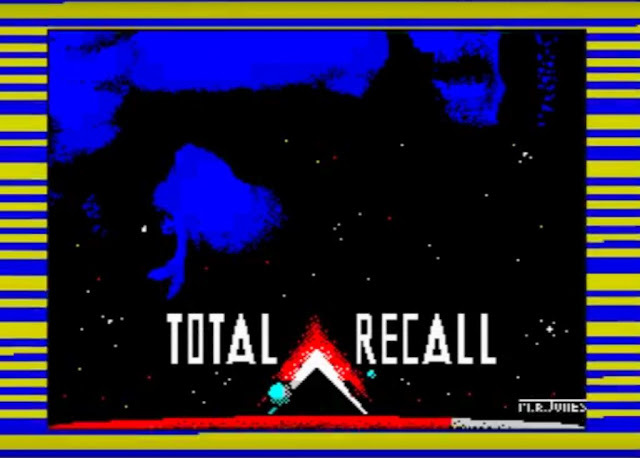 Total Recall - Hot news as playable scrapped ZX Spectrum version released! An amazing heads up by Ocean Software Ltd for the speccy as the scrapped ZX Spectrum version of ' Total Recall ' has once again seen the light of day and made playable. According to World of Spectrum this game was originally given to a programmer by the name of Paul Houbart, but progress was so bad even after the demo, the Christmas 1990 deadline would never be met and it was handed over to a new team to make a new Total Recall. This version which has just been released from the previously uncontrollable demo is now controllable thanks to Adrian Singh who hacked the code on the demo to enable the keyboard. Even though this is the first piece of hacking he has done for at least 27 years, this is still a demo and as such you may come across bugs, glitches and even crashes. Also as it's the first time it's been made playable from Paul Houbart's version there is no idea how much is in the game and how far you can actually get. But still as a bit of ZX Spectrum history, this is great to see and experience!